I had an awesome hotel just around the corner from Westminster Abbey and Parliament. 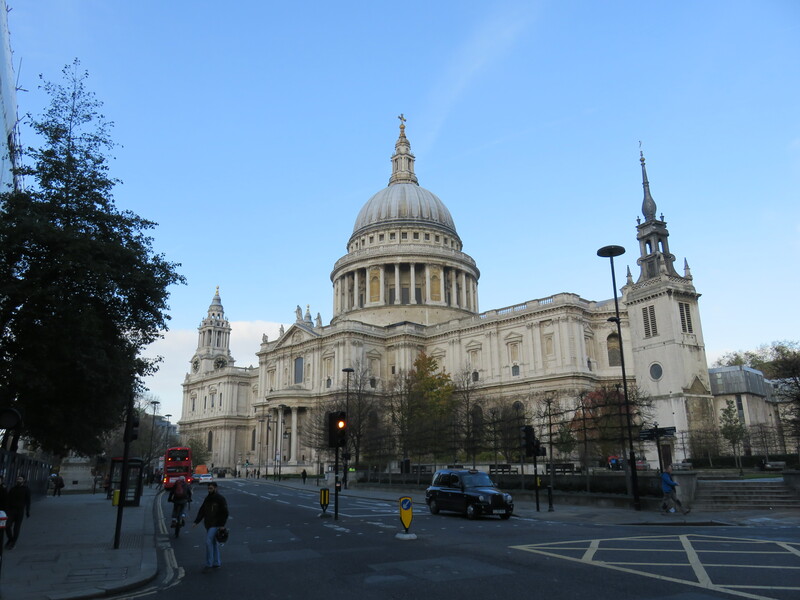 I spent a lot of time just walking around, visiting parks and the Tower of London and the London Eye and Westminster Abbey. It rained a good bit, but that was okay. It was late November in England; what else would you expect? There were two high points of my trip. One was that I got to sit in the Visitor’s Gallery in the House of Commons during a debate over British policy toward ISIS in Syria. Normally, foreigners don’t get to sit in the Visitor’s Gallery during Question Time when the MPs are grilling the Prime Minister, but for whatever reason the session that day didn’t count as Question Time. Members of both sides of the aisle took turns peppering Prime Minister Cameron with policy questions, and unlike our own deliberative body, Congress, everyone was actually polite. And educated. A member of the opposition referenced the Kantian imperative during a question and everyone knew precisely what he was talking about. I doubt the same would have been true of Congress. 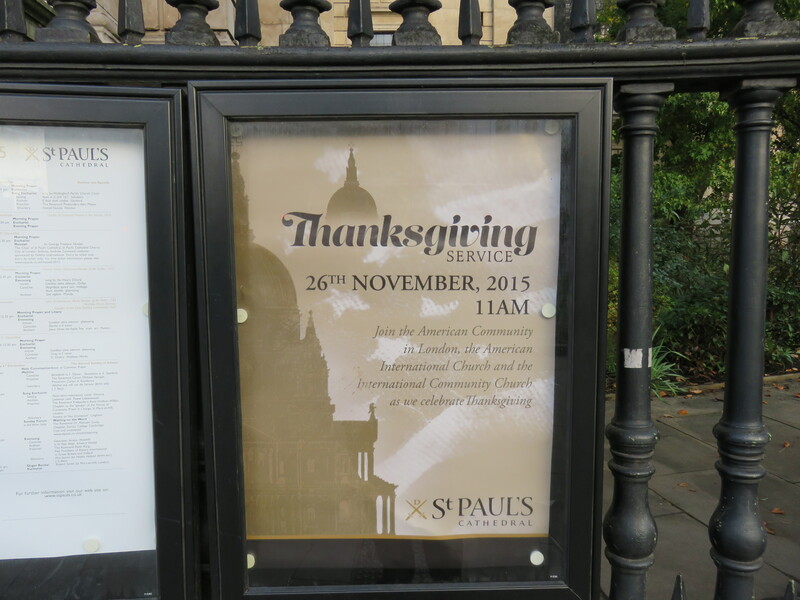 The second was that I got to attend a Thanksgiving service for Americans at St. Paul’s Cathedral. It’s an annual event and from what I could see a beloved one — the sanctuary was full of American expats and tourists. 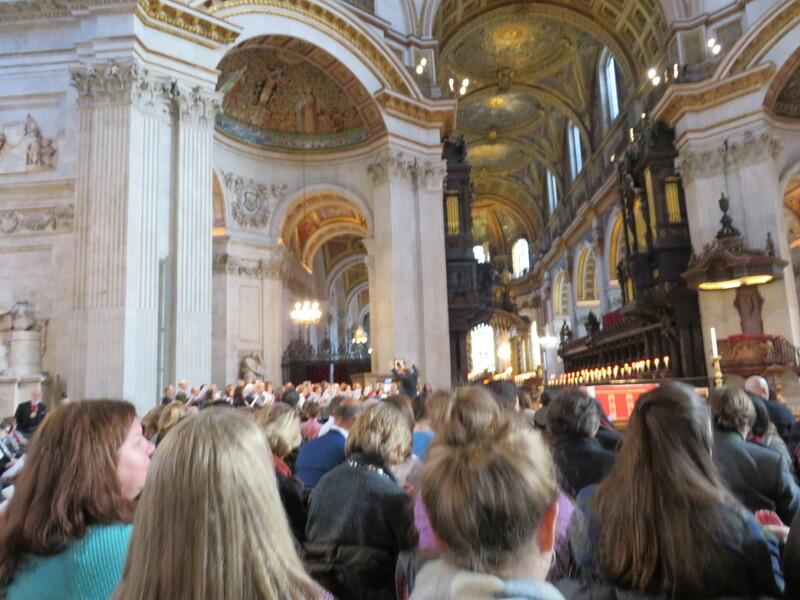 The choir was wonderful, the message (delivered by the American ambassador) was funny in parts and solemn in parts, and above all, whenever one got bored, the incredible architecture of St. Paul’s was there to be marveled at. But the best part of the service came at the very end. After everything was done and people were standing up to go, the massive St. Paul’s organ launched into what someone must have thought a very proper American piece of music: Sousa’s “Liberty Bell March”. Yes, the Monty Python theme. That Liberty Bell March. No, at the end, they did not end with the usual loud flatulent “splat” at the end. But that didn’t stop me from laughing anyway.